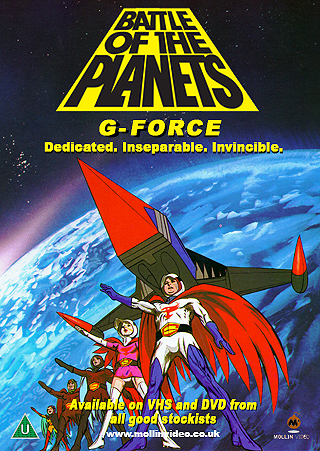 A promotional poster touting Mollin Video's release of the first volumes of Battle of the Planets home videos. 2000, by Mollin Video. 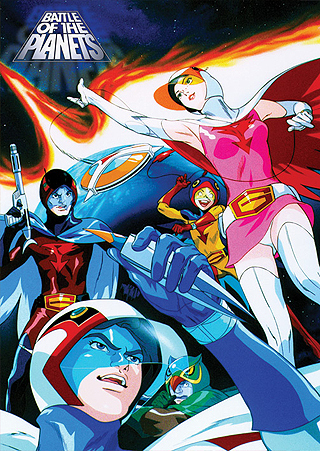 A large wall poster available only in the UK. 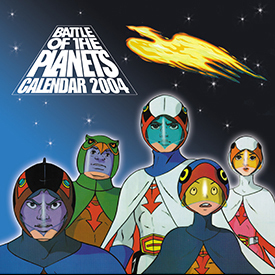 2003, by Pyramid International. Presented above are two cover designs for a 12"x12" 2004 wall calendar that eventually went unproduced. 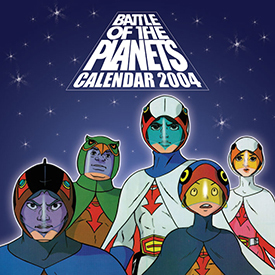 2003, by Pyramid International.